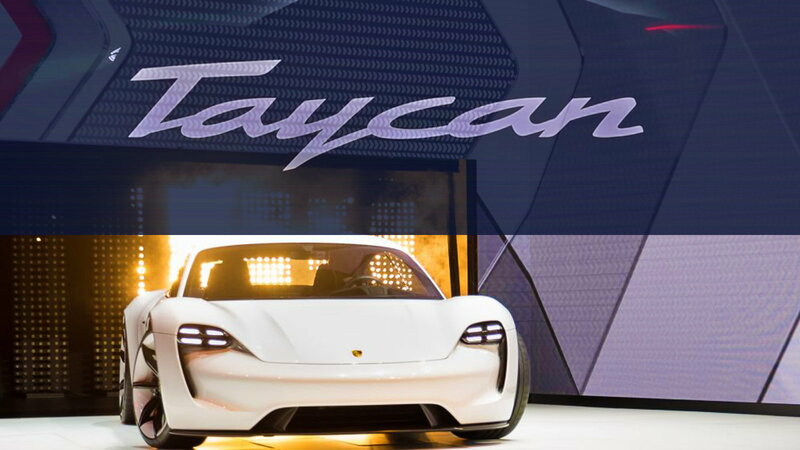 Formerly known as the Mission E, the Porsche Taycan is set to make its mark on the growing EV market. Formerly known as the Mission E.
Porsche announced this as part of their 70th-anniversary celebration, marking a milestone since Ferdinand Porsche's son completed the first ever 356. 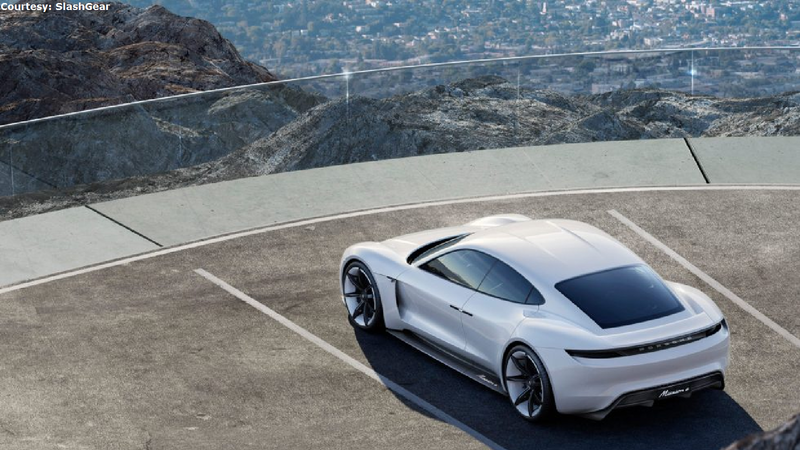 Fun fact: the Taycan is not the first full-electric car in the Porsche roster. That honor belongs to Porsche's very first motorcar, the P1, in 1898. Porsche has pledged to double their investment in sustainable energy vehicles by the year 2022. It's a commendable objective on their part, though we speculate it may have a little something to do with the PR nightmare Volkswagen's been going through from their historic emissions scandal. >>Join the conversation about the Taycan and this new chapter for Porsche right here in the Rennlist Forum. What does the car offer? We won't have confirmed specifics on the Taycan's performance for a while still, but the 600+ horsepower and 3.5 seconds from 0-62 MPH are a commendable start. The Taycan will have two "permanently excited" synchronous motors, with multiple driving modes to help optimize the car's range and performance. The sound is a matter of question as well. There's been a lot of talk of electric cars being too quiet for safety's sake. While there will be the same old sounds of wind drag and tire contact, the Taycan will come with artificial engine noise like the BMW i8. 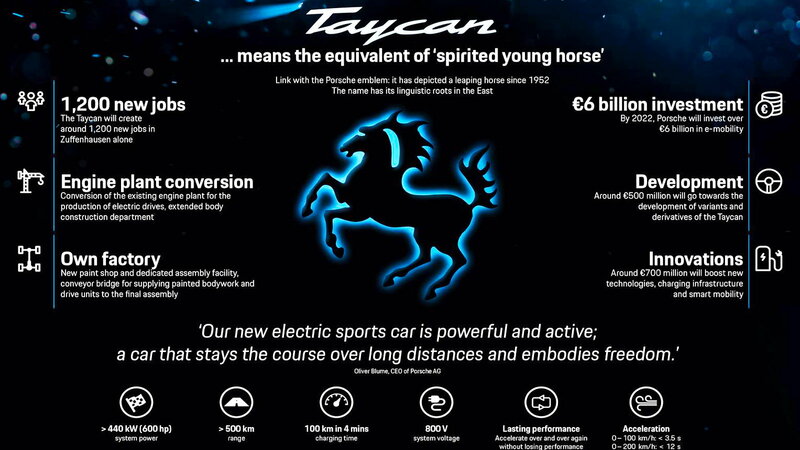 There's never going to be an artificial sound that matches up to a good old displacement engine, but it's a relatively small complaint in light of all the Taycan's potential. Barring the obvious price concerns, it's always been range anxiety and lengthy recharge periods that have held the electric vehicle market back from hitting its stride. The Taycan is said to reportedly have a 300-mile range to ditch fears that some may have about taking road trips in the performance EV. With regards to recharging, Porsche board member Detlev von Platen spoke optimistically: "If you're having some fun on the track, waiting 6 hours to recharge would bother you. That's why we are working so hard on a technology that would charge the battery in 15 minutes." The fast charger won't fill up the battery all the way, but fifteen minutes should be able to get a car up to 80% of capacity. 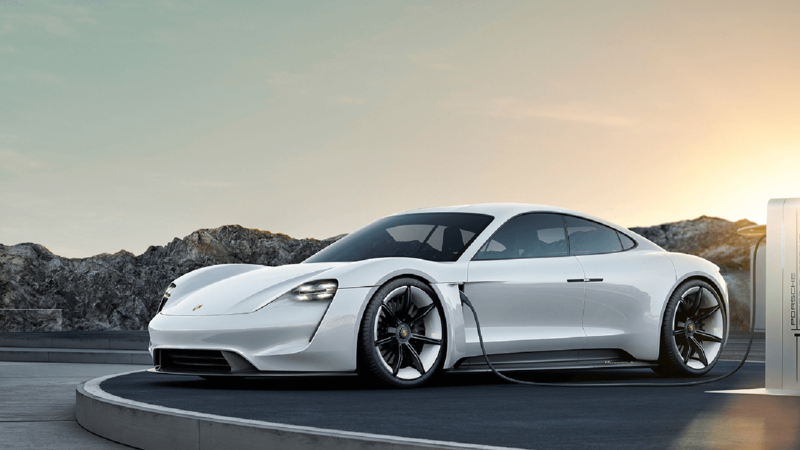 The infrastructure is still, sadly, a ways away before electric cars become conveniently located to recharge but Porsche has an app developed to help speed the process along. The program essentially acts as a one-stop shop for charge stations and will give clear guidance to drivers on how to find the nearest station. EV technology isn't quite at the point or cost where a buyer could justify a purchase on purely practical grounds. However, the turning point isn't that far away; it's a lot closer than EV naysayers tend to believe. Porsche's ingeniously refined engineering was what earned them their reputation in the first place; it bodes well for everyone if they play a role in setting the standard for electric vehicles. 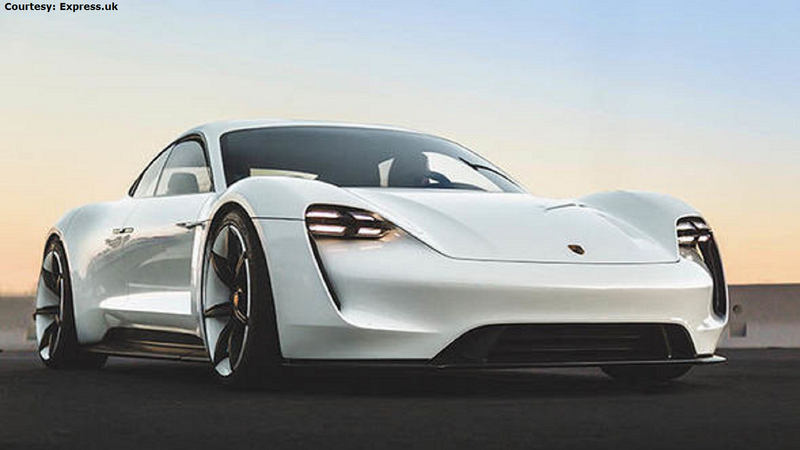 Porsche executives have made it clear that more Porsche EVs will be coming after this one, with the implication being they already expect good success for the Taycan. 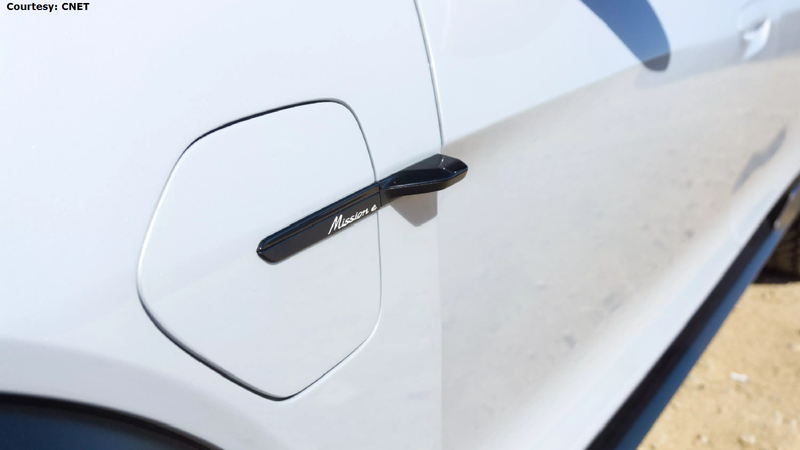 Upon first being revealed to the general public (albeit as the Mission E) the official word was to expect pricing along the lines of the current Panamera. In other words, we can expect to see it starting between $80,000 and $90,000. There won't be an official reveal until 2019, and it'll only be the year after where the Taycan starts getting sold. 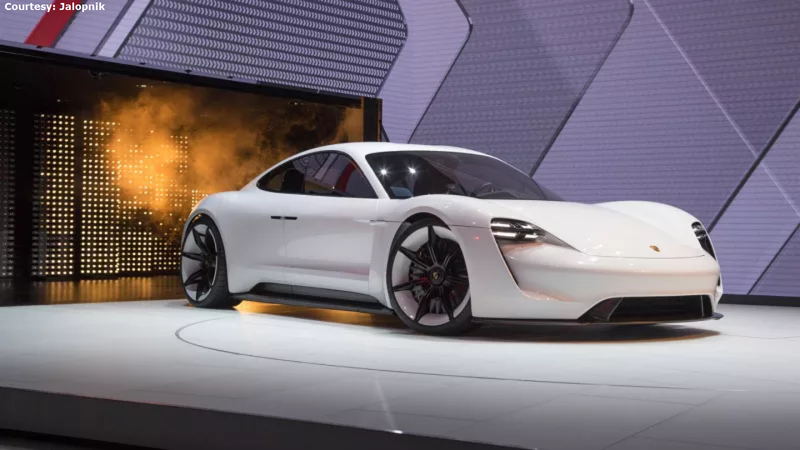 All the same, we know enough to be wildly excited for this electric future Porsche have in store. You can check the official word on the Porsche Taycan via the official news page by clicking here.